But severing ties with her taciturn suitor isn't as straightforward as Sophie envisioned. Her parents are outraged. And then there's Charles Darwin, Prince Albert, and that dratted gaslight. What's a girl to do except invite Mr. Sharpe to Appersett House for Christmas and give him one last chance to win her? Only this time there'll be no false formality. This time they'll get to know each other for who they really are. After having read The Matrimonial Advertisement recently, I knew I needed another Mimi Matthews book STAT! Lucky for me Mimi released her novella, A Holiday by Gaslight, and happier I could not be to dive in. When you read a Mimi Matthews book it's a given that you're going to get a fabulous story line, characters that will charm your socks off, and a sweet romance that will make you believe in love again. When it comes to romances in books I'm a pretty tough critic, but Mimi can write love better than anyone. Sophie and Edward are fabulous, and I loved how honest they were with each other, and watching their love grow was a lot of fun. 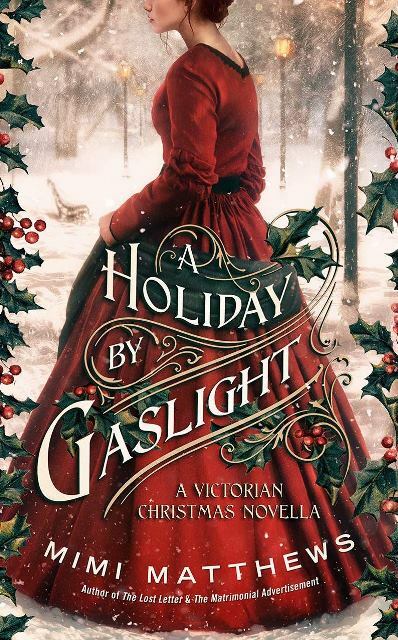 With A Holiday by Gaslight I was smitten the instant I started reading. That's how good Mimi is. She grabs you at the get go and doesn't let go until you breathlessly reach the end (no matter how much you don't want it to end). So, grab a soft, warm blanket and a hot cup of tea or cocoa, and settle in for a holiday treat! It can be easily read in one sitting because, well, trust me when I say, you won't want to put it down. 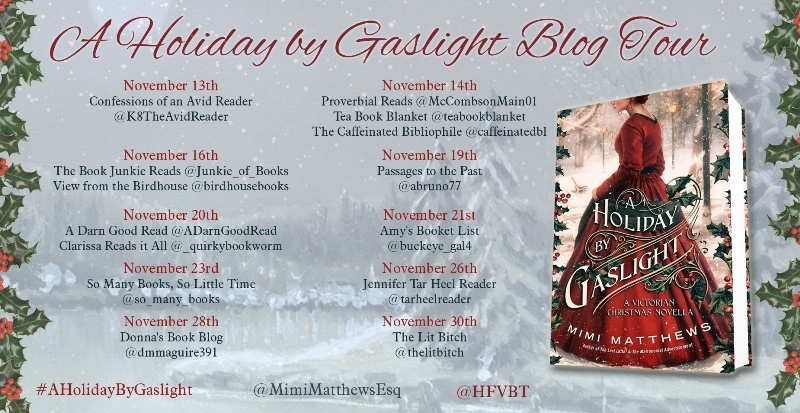 If you're a fan of Georgette Heyer, or you love sweet historical romances, then I highly, highly recommend A Holiday By Gaslight, as well as Mimi's other novels. She is fast becoming one of my favorite writers. I will happily buy any book that she releases and know that I will have hours of enjoyment ahead of me!